John and Jeff Elliott, Managing Director and Deputy Managing Director respectively, are proud to live in their own Millwood Designer homes – convincing testimony of the family’s total commitment to the Millwood product. The company is dedicated to combining all that is best in local architectural history with the very latest in modern amenities, which has won the housebuilder a variety of prestigious awards. The Millwood product typically has a traditional exterior design using reclaimed materials, an impressive high level of specification, meticulous attention to every detail and Millwood’s trademark quality of build. 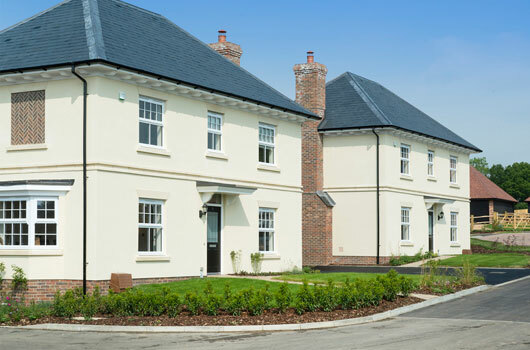 Millwood Designer Homes builds a broad range of individually designed homes from contemporary styled apartments to more traditional two and three storey homes. The company is renowned for its large properties that are modelled on the traditional 15th and 16th century Yeoman-style farmhouses, once so common in the Kent and Sussex Weald. Millwood is able to plan these types of homes to sit alongside other designs so they all blend together within a sympathetic street scene. Many new Millwood Designer homes combine period charm with all the benefits of the latest advances in construction and energy-efficient technology. Traditional exteriors belie the more contemporary interiors, whilst cottage style homes, as well as Georgian facades, are becoming more and more prevalent in Millwood’s portfolio. Millwood Designer Homes is based in Tonbridge, Kent and its exclusive developments can be found in country, town, village and waterside locations throughout Kent, East Sussex and Surrey. By ensuring that all landscaping is sympathetic to the environment and that natural features and existing planting are retained whenever possible, the company enhances the rural aspects of any regenerated brownfield land. 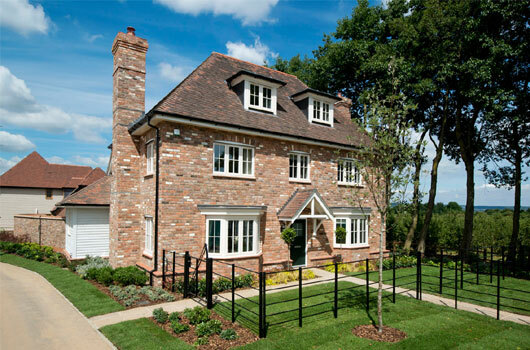 Millwood also strives to use reclaimed bricks and roof tiles at many of its schemes to embellish the traditional design. Millwood’s continued policy of combining all that is best in local architectural history with the latest in modern technology and innovation has won the company many prestigious awards.